1- The consumption of the battery. 2- The remaining time of the battery. 3- The charge remaining time. 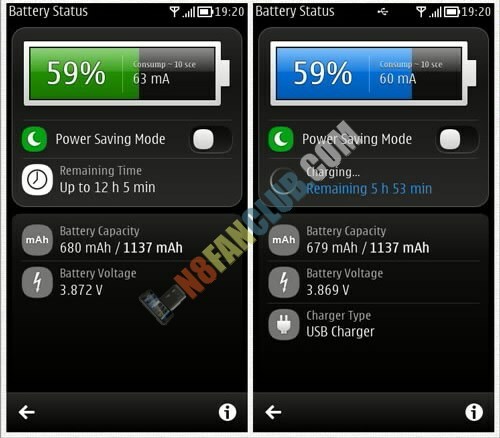 4- Enable or disable Power Saving Mode. 8- The type of charger. Compatible with S^3 / Anna / Belle Smart Phones.